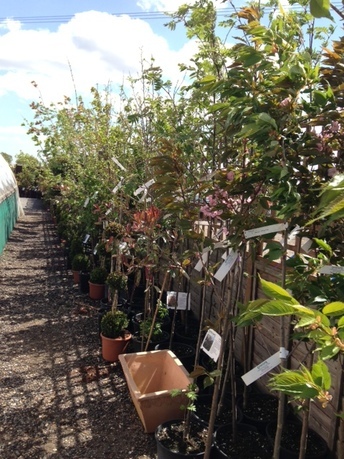 At Olivers Plants we have a range of Ornamental Trees. Both native species and non-native whichcan give more colourful displays. The most common size we stock are 2 to 3 meters tall in 15 to 30 litre pots. Larger specimens are available on request. These are a manageable size, yet large enough to make an instant impact in your landscape.